With our friendly support, and working closely with our brides, we tailor-make your ideas, giving individual care and attention to the smallest detail. We are able to turn your concepts into reality and create a magical, unique and special day with memories to last forever. Let us take the stress from you and allow us to set-up your venue and leave you with a masterpiece. 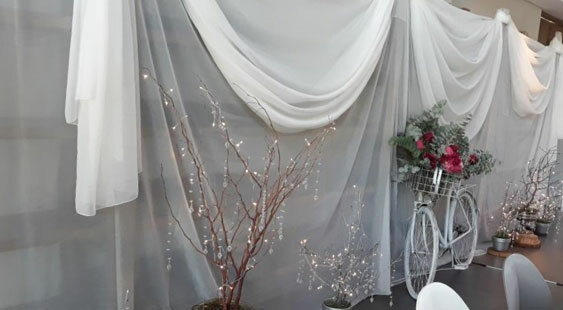 Why not make an appointment for a free uninterrupted consultation where you can have some fun pulling out our sample stock items, laying out the bridal and guest tables and together we can turn your inspiration board into a reality? By making an appointment with us, it will relieve many hours of uncertainty leaving you with a clear and concise plan for your wedding décor. We open especially on Saturday mornings for these and booking is essential. 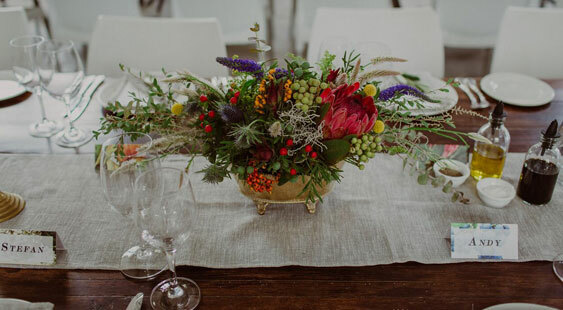 With our varied range of table décor and abundant ideas, we are able create perfect table displays with stunning centre pieces that will bring the character and charm you are looking for. Whether you are a traditionalist, love contemporary design or working on a specific theme, we can achieve the style you are after. Flowers have the amazing ability to bring colour, drama, character and style to enhance your dream event. We offer a professional and convenient one-stop solution where you can order your wedding day flowers and bouquets through us. 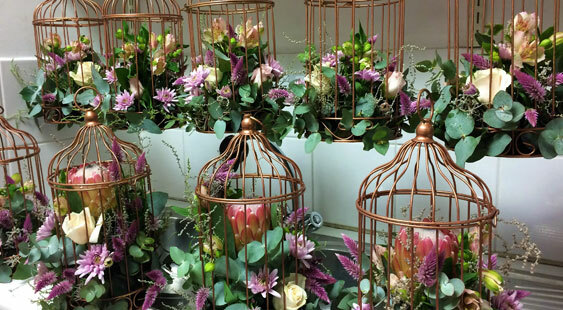 By avoiding expensive florist charges, we will create and deliver all your flowers requirements ensuring they coordinate with your colours and theme. By following the bride’s brief for her bridal bouquet, we have the expert ability to deliver exactly what she has requested. 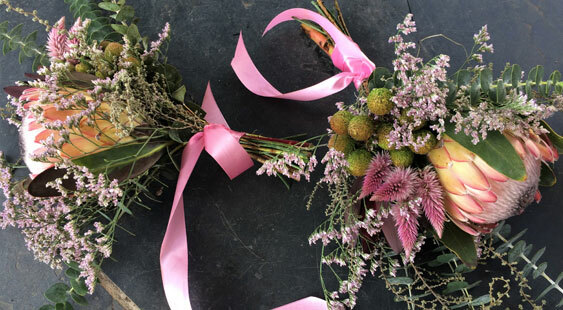 As we already are working on the wedding décor we are able to ensure that her bouquet, bridesmaid’s bouquet and boutonnieres all coordinate with the overall look of the wedding. Our library of images and ideas of floral bouquets, boutonnieres, ceremony flowers, guest and bridal table flowers are wonderful to help brides to decide on their flowers and bouquet style. 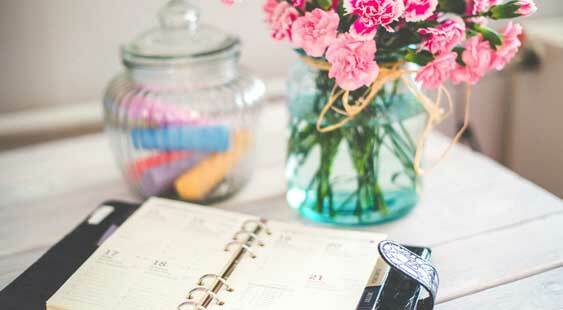 We are knowledgeable about seasonal flower availability and suggest alternatives where necessary. Soft flowing fabric draped on our support structure will bring elegance and enhance the festive atmosphere, changing a dull hall into a magical space. 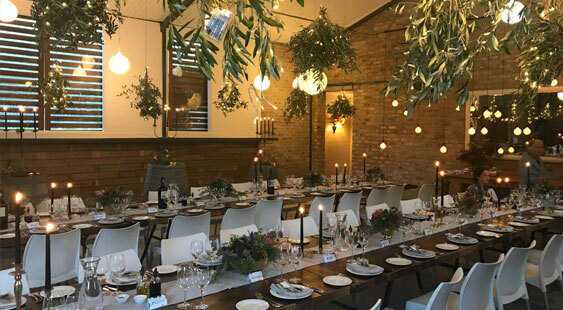 We are able to drape from ceiling to floor, bridal table backdrops, ceiling festoons in serene white or dramatic black depending on your style. Fairy lights, bunting and Chinese lanterns can also be included for that extra special effect.